From expert templating and fabrication practices, to professional installation, Tops Solid Surface goes above and beyond to bring your kitchen or bathroom design to life! We want you to truly love your countertops, and that begins with slab selection. 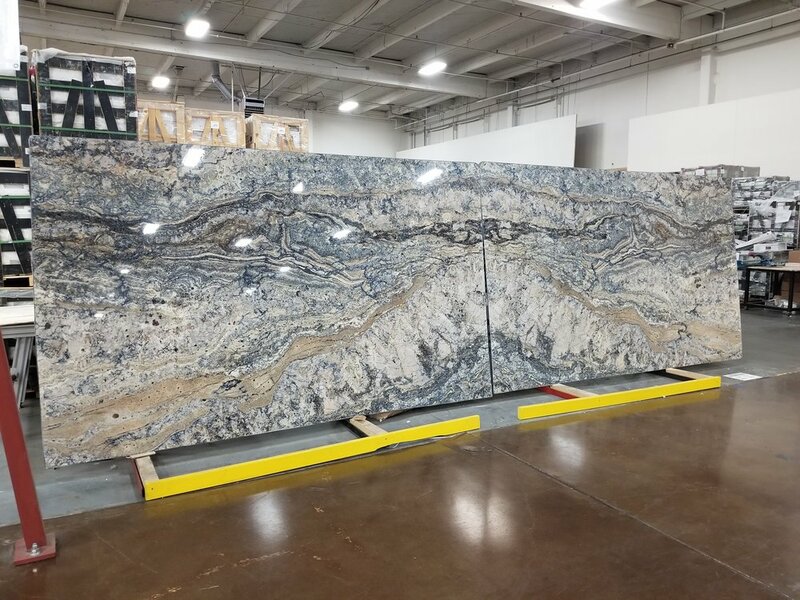 Every slab of natural stone or granite is very unique, with beautiful natural variances of color and movement which you'll see whether you choose from our warehouse inventory or on a visit to a distributors' stone yard. Constantly updated inventory allows for making your selection even easier! After committing to your project, we take on-site field measurements with digital laser technology to ensure accuracy in the countertop fabrication process. 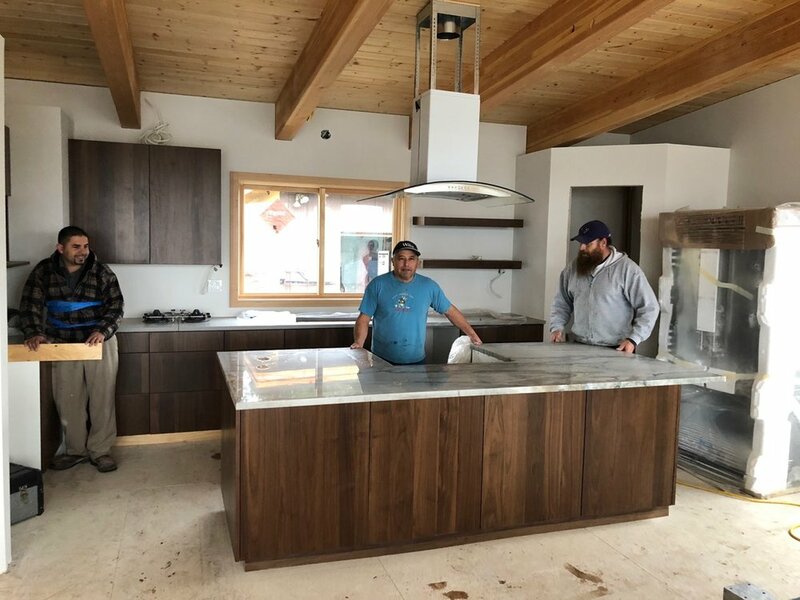 If you are remodeling, our specialized digital templating process allows for precision measuring, with or without removing the existing countertops first. Tops' expert templating practices bring your kitchen or bathroom design to life! Establishing realistic expectations for your countertops is an integral component of this process; therefore, a shop visit may be necessary. 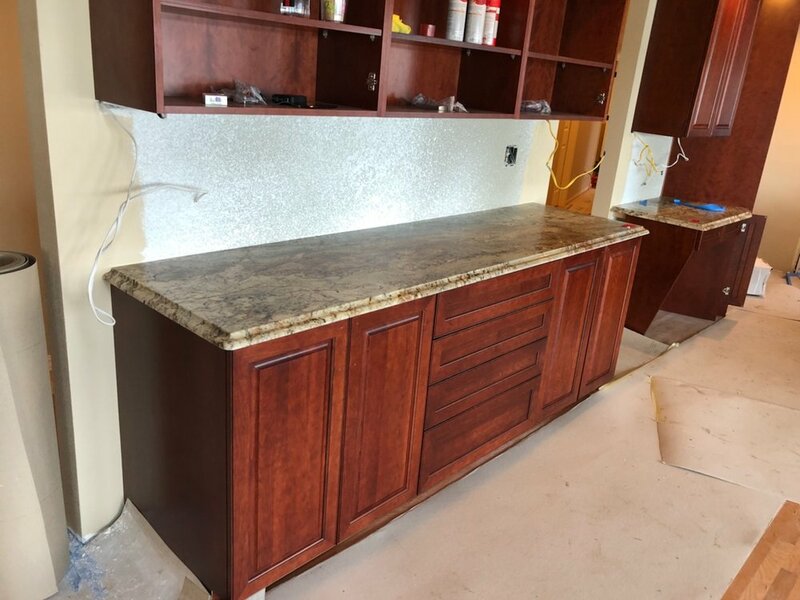 Our fabrication experts will point out seaming options, directional veining and more, so that your countertop installation meets all your expectations. Due to the organic characteristics of natural stone, when two pieces join to form a seam, the directional flow of the pattern should appear to be one solid piece. Slab layout offers the opportunity to capture precise, fully-calibrated images of your stone slabs in high resolution. 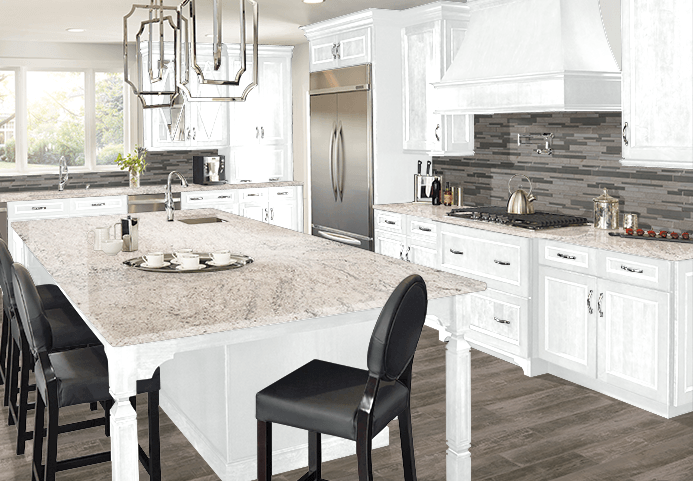 Coupled with BACA Systems Vein Match software, we can overlay our customer's DXF file on slab photos and then create a complete rendered image layout of your countertop for final approval. Tops Solid Surface uses innovative fabrication technology, the best epoxy and adhesive materials and top-notch craftsmen to fabricate every project. 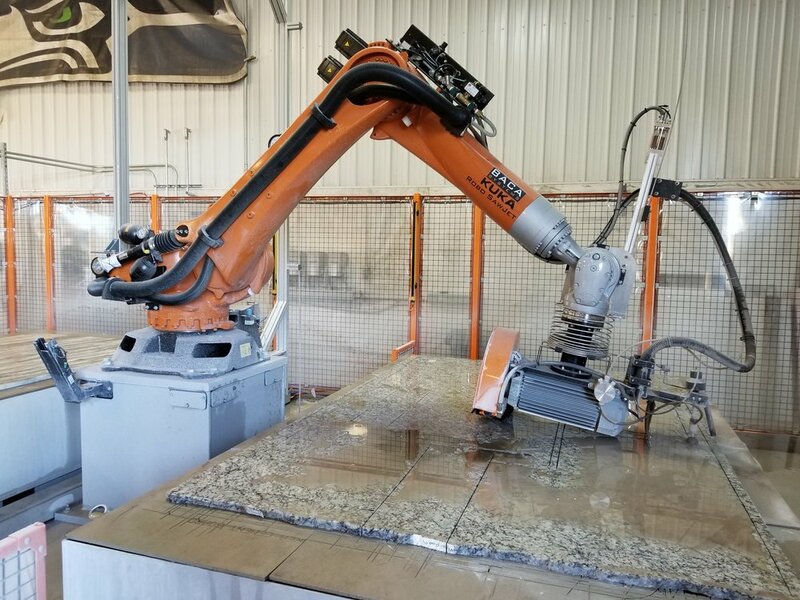 The standard dual table Robo SawJet allows us to produce a fully cut slab on one table, while the other table is being unloaded and reloaded. The direct drive saw cuts all the straight lines on a granite job, while the high-pressure abrasive waterjet cuts all the curves for a variety of unique possibilities. We go the extra mile to ensure that our customers receive the highest quality workmanship possible. Our expert installation teams respect your home and take pride in not only a beautiful and accurate installation, but take care to protect against dust and disruption throughout the construction process. Kindly designate a clear path to the worksite so the installers can come and go with the heavy materials. As a friendly reminder, you'll need to coordinate with your plumber, electrician, carpenter, and other workers before and after installation as needed.